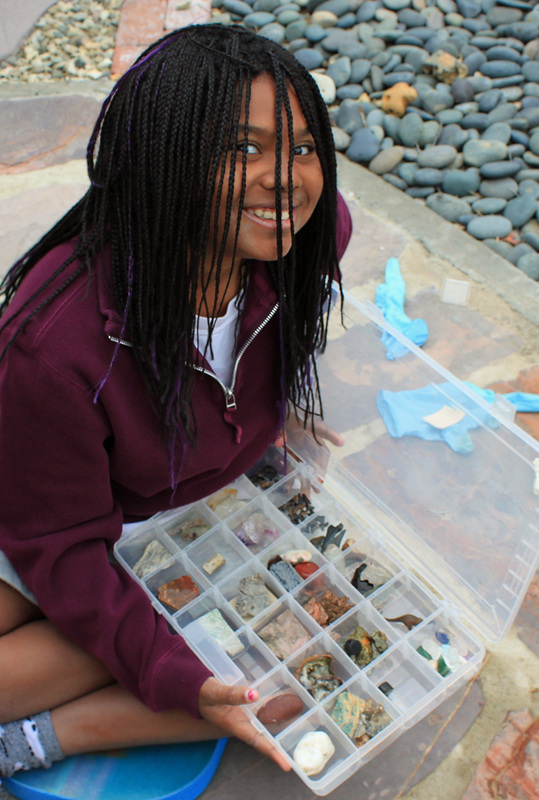 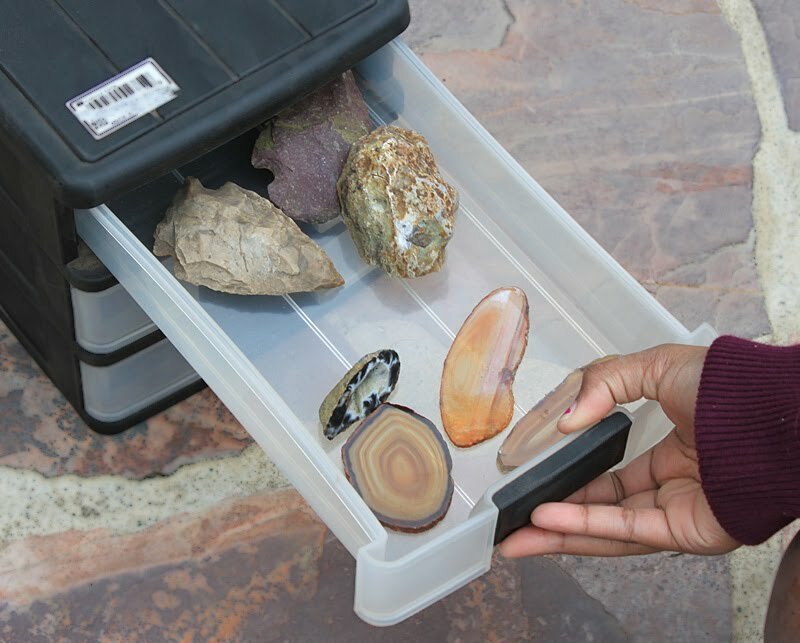 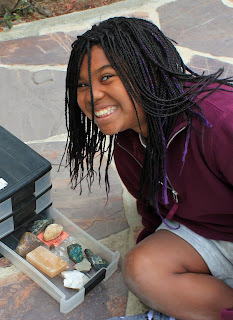 Naia is studying rocks, minerals and fossils in school and asked if we could go rock hunting sometime. Since rain was threatening all weekend, PopPop came up with a back-up plan - he dug around in the garage and found Matt's old rock collection from when he was a kid. 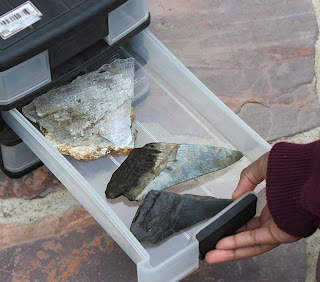 He showed Naia how to clean the rocks and fossils in a bucket of water - including giant shark teeth - and gave her a set of containers in which to keep her new treasures. 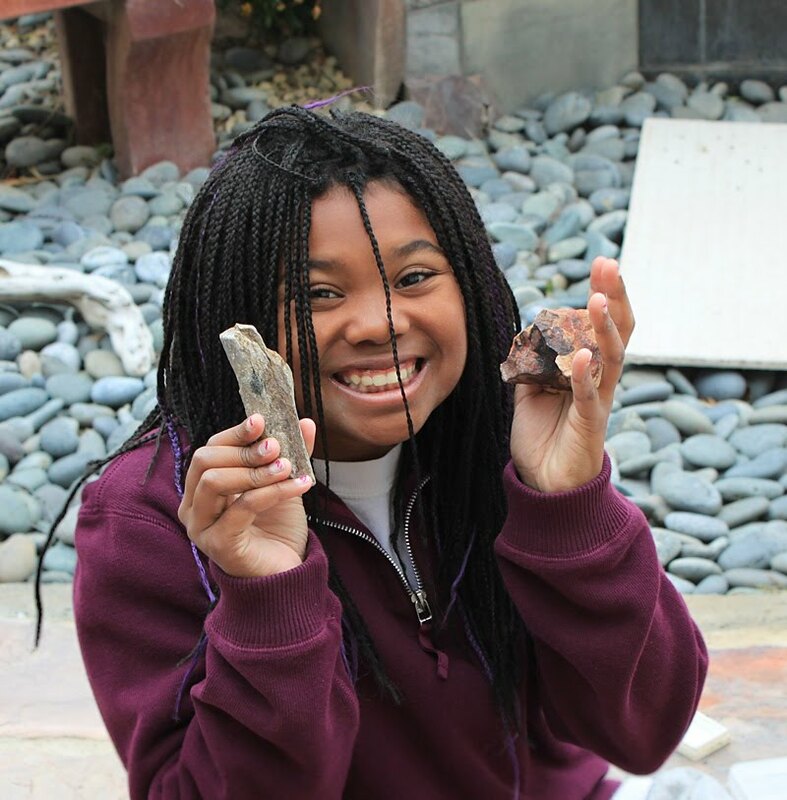 Naia is thrilled with her rocks and even more thrilled that they once belonged to her dad. Hooray for grandpas who save treasures for rainy days.